Keep your PureSpa clean and long lasting for years to come with the Intex Spa Maintenance Kit. 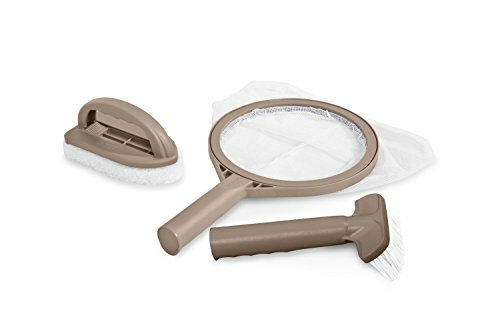 This maintenance kit works well for all spas and includes a brush, mesh skimmer, and scrubber pad. View More In Filters & Filter Media. If you have any questions about this product by Intex PureSpa Hot Tub Maintenance Accessory Kit w/Brush +Skimmer +Srubber 28004E, contact us by completing and submitting the form below. If you are looking for a specif part number, please include it with your message.